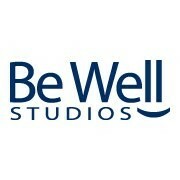 Start taking classes at Be Well Studios and other studios! Be Well Studios, located in a beautiful space in Scituate Harbor, believes that “Wellness” is a word that encompasses the whole individual by integrating spirit, body and mind. Appropriate fitness/yoga attire is recommended for your comfort and flexibility. A workout is what you make it, but it definitely helps when the class is coordinated and thought through prior to members showing up. I have to say I was disappointed today. The instructor was a lovely woman, but she was totally disorganized and because of it, our actual movement time was disrupted, turning a 45 minute class into more of a 30 minute class. We did not complete all the planned movements and were given a rushed cool down and stretch. The studio is gorgeous, but the coaching quality is mediocre. Probably wont return, at least for this class/instructor. Beautiful studio. Instructor and everyone was friendly. 20 seconds of work followed by 10 seconds of rest. I felt it the best day! I expressed to the instructor I was brand new to her class. there was no hands on instruction which I was looking for. Loved the stretch. More stretching of hip flexors than most barre classes. Cant beat the ocean view.